Miami Heat power forward Chris Bosh is considered the third member of the Heat's big three, behind of course LeBron James and Dwyane Wade. Bosh is an eight-time All-Star and has averaged 19.3 points and 8.8 rebound per game in his career. 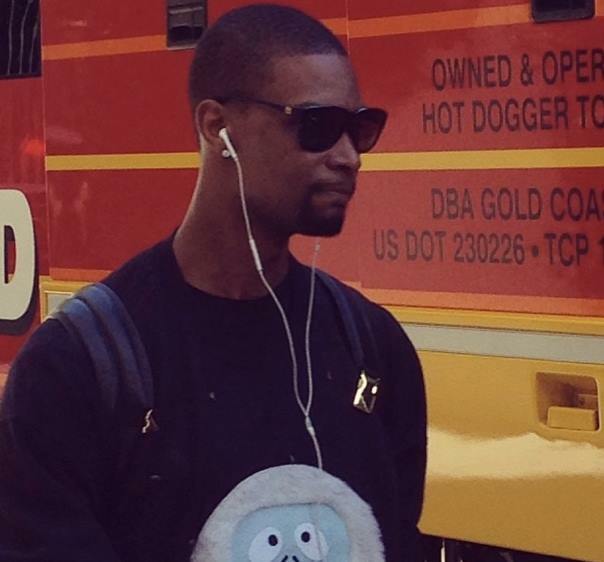 On Christmas Day, prior to the Heat's 101-95 victory over the Los Angeles Lakers, an iFolloSports.com contributor captured the above photo of Bosh climbing aboard the Heat team bus, as the charter prepared to shove off from the Beverly Wilshire Hotel. In the national TV contest, Bosh totaled 23 points and 11 rebounds. Later that night, the two-time NBA champ was spotted at the AMC Century City 15 movie theaters, located one mile west of the hotel, at the Westfield Century City mall.